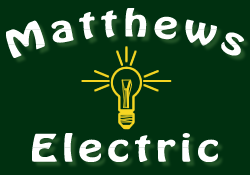 Mathews Electric is a full service electrical company, providing service to the south shore in Massachusetts. Please forward your resume to us if you are interested in a position with us. We currently employ Licensed Electricians, Apprentices, Laborers, Generator Technicians along with various professional office positions. Matthews Electric is an equal opportunity employer. Please fill out the application for employment by clicking the link below, and email both the application and a copy of your resume back to our offices.